Are you tired of hurting? Are you unhappy with how your life is going? Imagine being free, loving each day and excited about what might come. Getting you there is easier than you think. All you have to do is take the first step. Getting to the root of your emotional or physical pain can free you. Even without knowing the cause, your suffering can be released. Experience relief in a way that is loving, calm and gentle with no need to re-live anything unpleasant. Emotional Relief is you getting free of the baggage you’ve accumulated through the lifting, dissolving or clearing of heavy energy. It’s the energetic release of hurts others have caused. Through the introduction of higher vibrations, dense energies are removed. It is an energetic cleansing that opens you to enhanced well being–a reset toward feeling good about yourself and your life. Anyone who feels weighed down by hurts or disappointments can experience benefits. If you’ve suffered physically or emotionally, feel stuck or confused, your energy can be shifted in beneficial ways. For those who can’t shake an unhealthy habit or find themselves in toxic relationships, patterns can be released. Energy healing covers a wide spectrum of discomfort or dis-ease. We will connect by phone or internet. Since energy isn’t bound by the physical world, no matter where you are, it is easy for me to work with your energy field. During our time together, you will be able to relax as the energy shifts take place to unblock the root causes of your pain or suffering. You don’t need to provide your history, though you are welcomed to share, and there is no burden on you to identify the cause. The goal is to bring you long lasting freedom and relief in a space that is gentle, loving and safe. Before we meet, consider what you would like to focus on. You can bring up more than one issue, problem or concern, keeping our allotted time in mind. Allow yourself to be open and receptive. Set the intention that your good will be honored and supported in our session. Plan to be in an appropriate setting for your session so your benefits can be maximized. You have the choice of connecting with me by phone or internet and you can practice accessing the session ahead of time once you receive the Invite. There’s no need for dietary considerations, but of course, be free of any chemical influence. Plan to be in a space that is comfortable for you and free of distractions or interruptions. Our session can be by phone or internet. When we finish, it is an advantage to be in a situation where you can continue to relax and remain in the loving energies. You can access our session by phone or internet. I will record our session and send it to you so you can relax and be fully present. This removes the need to take notes or feel pressured to remember the details. When we start, you will have an opportunity to share your focus, intention or anything else you’d like. Once we begin, the energies work quickly and gently. I will share what is shown to me, what the energies are working on and any other information that comes through. I am fully conscious the entire time, so we can have an easy flowing dialogue. It is a unique and loving experience, a space of non-judgment. The energy shifts occur whether you are able to feel them or not. Many do feel the energies working with them, so you may be surprised. The energetic benefits are immediate. Most feel light and unencumbered. Each session is specific to the person, so how you respond following your session will be unique to you. Generally, people continue to notice differences as they go through their days. Immediately following your session, it is helpful to connect with nature in some way be it with water (drinking it, being near it or in it, which can include a salt bath). Some are called to taking a nap directly afterward. At bedtime, some sleep very well, some have unusual energetic experiences and some have unusual dreams. Have an awareness of how you are responding as the energy shifts will continue for a period of time. This is a personal choice. Some make the progress they were seeking after only one session. Others want to continue progressing and will schedule follow up sessions paced in a way that works for them. This is why I offer bundles. Like an onion has layers, so too does your energy field. I am here to support you on your path to health and well being. 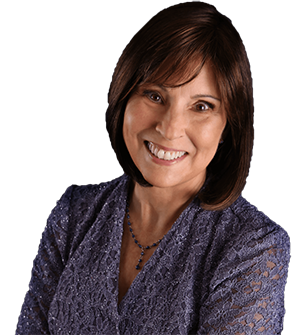 Avilone is an expert in perceiving and working with energy after more than 30 years on the metaphysical path. Complemented by a nursing career with a Master’s degree, she continued exploring the non-physical world. Dedicated to her purpose and mission, her no-touch energy healing technique manifested after years of study and preparation. The path she has forged is at the forefront of helping humanity move toward a continuous state of health and wellness. Her energy healing is a one-of-a-kind experience. “I spent my adult life in the field of nursing, a rewarding calling I enjoyed for twenty-five years. The work was physically demanding, yet I loved it. During those years, I explored alternative healing techniques and was touched by something Albert Einstein wrote: Everything is energy and that’s all there is to it. Little did I know those words would be the foundation of my life as I became more adept at perceiving energy in others and learning to use it as a healing technique.